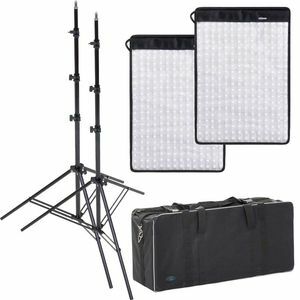 This LED 45x55cm Flexible Panel Light Kit FX-4555 Daylight includes 2x Flexible Light Panels, 2 Light Stands and a Carry bag. The Dorr LED Flexible Light Panel FX-4555 DL is fitted with the latest LED technology and is fully flexible in their use. 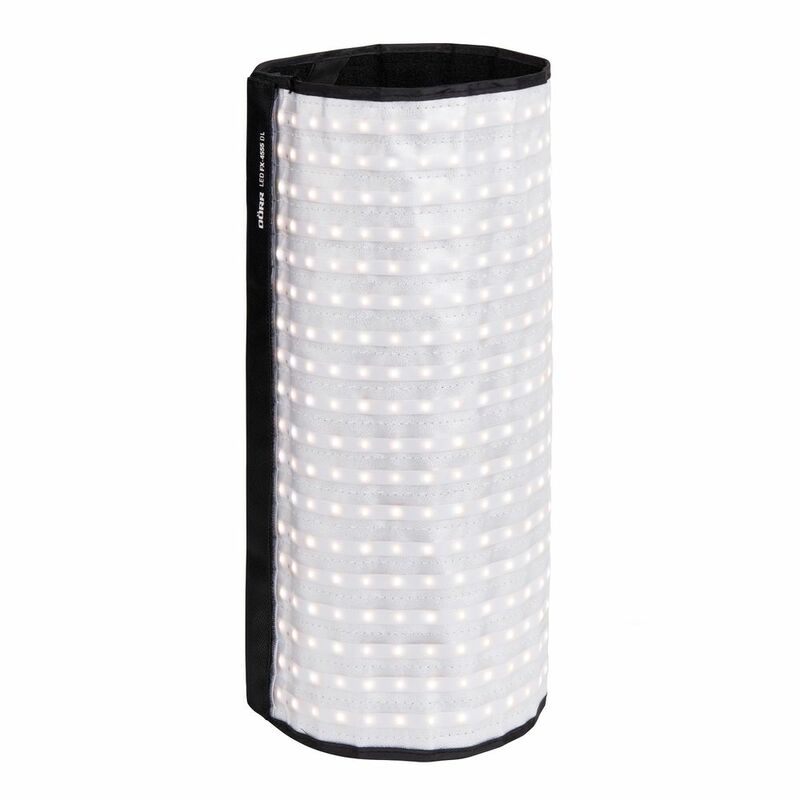 Provides a bright illumination even in hard to reach areas or in the smallest spaces. 504 white LEDs provide a colour temperature of 5600K (daylight) with a variably adjustable brightness and a power of 62W. With a width of just 10mm, this panel is extremely easy to fold or roll up for easy transportation and they are also ultra-flat for fully flexible use. The FX-4555 DL is supplied with an X-Frame and Light Stand Adapter which you can use to attach the panel to the optional light stand in both vertical and horizontal direction - the light panel can be inclined. Also includes Velcro Mounting Straps which attach the panel to a wall or ceiling, several LED Flex Panels can be connected to eachother.